Whether hiring a single employee or staffing up for the busiest time of year, onboarding new team members can be challenging. And when it comes to IT, bringing on new hires or outside consultants requires the right training materials and documentation. Without proper documentation, even a highly experienced technician would struggle to navigate the inner workings of your network. 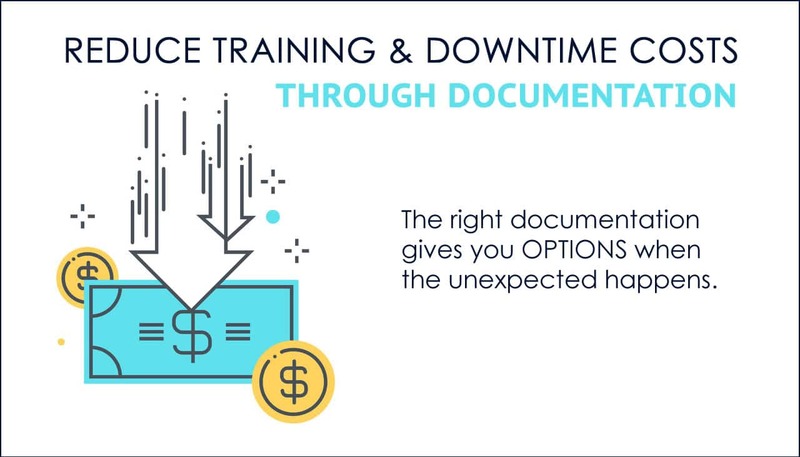 In the event of a disaster, lack of documentation could increase the length of downtime your business experiences – a single mistake could escalate into major issues when employees don’t have accurate documentation to rely on. To put it simply, the right documentation gives you options when something unexpected happens. A Reliable Fallback Plan: Imagine, for instance, your senior IT person is sick, or out of town. With proper documentation, you could call in a junior staffer or outside IT consultant to perform their duties and keep your network infrastructure running smoothly. Training New IT Staff: Documentation can also be your best friend when it comes to training new members of the IT team. In a perfect world, your senior staff would have plenty of time to train new coworkers and still do their own jobs, but that’s not always possible. Having documentation on hand makes training easier and fills in the gaps for new hires. Ready for Disaster: Most of all, documentation is critical when disaster strikes. Whether that disaster is natural or man-made, thorough and complete documentation makes it possible to quickly resume operations without excessive downtime. When Was the Last Time Your Documentation Was Verified? Chances are, you have some documentation on hand – few companies could run without user manuals, employee handbooks and the like. But when was the last time you verified and updated your documentation? If your business processes have changed or your software has been upgraded, the documentation you are maintaining could be dangerously out of date. Login information for your firewalls, switches, servers and other business-critical infrastructure. Software licensing, including expiration dates. Agreements for extended support on out-of-warranty hardware and end-of-life software. Phone numbers for vendors, consultants and others whose help may be needed in the event of a disaster. A phone tree for your management team, IT staff and other critical workers. How Often Should You Update Documentation? If you haven’t updated your documentation recently, you could be putting your business at risk. It is recommended that you update your documentation each time you upgrade operating systems or switch to a new type of software. This updating process may seem like a low priority, but it could actually be a lifeline for you one day. If your existing IT company has never mentioned documentation or your internal IT staff needs assistance, Ontech Systems can support your business as an outside IT consultant or as an extension of your internal IT department. We make it a priority to keep our customers’ documentation up to date and we recommend that all businesses update and verify their documentation at minimum every six months. Since documentation can contain sensitive network information, it’s important that key staff members within the company have access to it – and also that others don’t. Access should be limited only to those who truly need it. If you are an existing Ontech Systems customer, we encourage you to ask your primary technician to verify the last time your documentation has been updated. If you can’t verify the last time your IT documentation has been updated…or if you’re not sure whether IT documentation exists within your organization, contact us at 262-522-8560. Take the first step today and request a Network Discovery. We’ll help you prepare for the unexpected by making sure your documentation is up to date, and accessible to only those who need it.